Imogen's Typewriter. 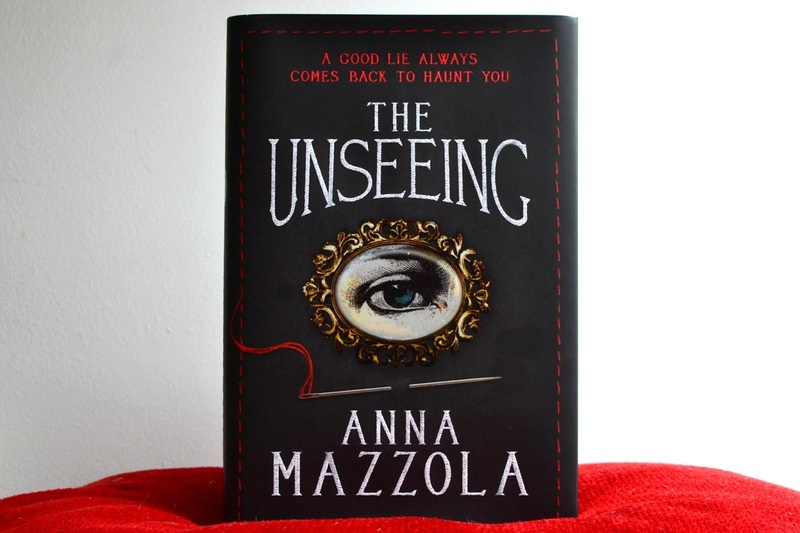 : Book Review: The Unseeing by Anna Mazzola! The Unseeing took me about a week to read, and not just because Pokémon GO has been taking over my life. This book completely beat down my goal of 1000 pages a week because I found myself reading it in short chunks. The problem is dual narrative, it's rare that I can really connect with a character when the chapters are just ten or twenty pages. Both characters were fascinating, I just wanted to spend longer with them and delve into their point of view for longer before moving on. And yet, because of the actual storyline, the plot felt padded out. On page 298/360 it says; 'It was not over. It had only just begun.' and I noted this down to see if I would agree later on. I did. The pace picked up, more happened and it felt like a trotting horse just saw a rabbit it wanted to catch. I personally enjoyed the last 60 pages more than the first 300 because it felt like more was actually happening. Despite the issues with pacing, I did really want to know what happened and the slow feeding of hints into what happened kept me interested. The thread of intrigue when it came to eyeballs was cleverly done and really brought the past and present in the story together. From the cover I expected something creepy, but it turns out history was scary enough. Anna Mazzola makes it easy to see how a woman in the 1800s can find herself in a less then ideal situation. The past was horrible and the way women were treated was just disgusting. Sarah's devotion to her son had my heart, and I was routing for George the whole way through. Sarah cared about him, and I ended up caring too. I'd definitely read a sequel to find out how he's doing. This fictionalised account of the trial of Sarah Gale is definitely more fiction than fact. The character of Edmund is completely fictional, as is her sister and what is concluded to happen. Taking the story with a grain of salt wouldn't be enough, best bring the whole salt shaker. But if you're interested in the Edgware Road Murder, you might want to check out this version of events. You might just be convinced. The Unseeing is out now and you can get a copy here! "'It's a funny expression, isn't it: "fallen woman'? As if women fall by themselves, by accident.' He voice was sharp. 'Most, I think, are pushed'." Will you be picking up this book? *I was sent this book to review as part of The Unseeing blog tour!